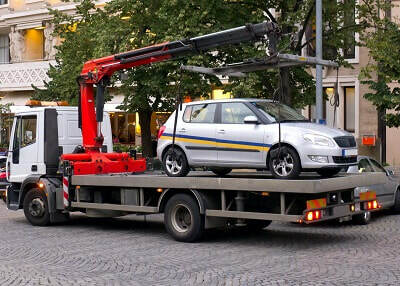 We do not provide impound services or parking enforcement. We do not have your car. We are your FAST, FRIENDLY, FULL-SERVICE roadside assistance company, Towing Columbia. We know life happens sometimes, and we are ready, willing, and able to rescue you at the click of a mouse or the tap of a button. Maybe you’re stranded somewhere in the middle of Nowhere, SC. Maybe you’ve returned from a great night bar hopping with friends (and a designated driver, of course) in Five Points or the Vista, only to discover a flat tire. Or, maybe you ran into someone new, albeit accidentally, and now your vehicle is no go for launch. Freeway or parking lot, back road or garage, drive way or highway, we are the Tow Truck Service in Columbia SC you need, and WE CAN HELP! Our customers are constantly amazed at how quickly our dispatch service responds. We assist you with your problem 24 hours a day, 7 days a week. When you call Towing Columbia, you can count on courteous, no-nonsense service that recognizes the gravity of your situation. You will appreciate our affordable, up-front pricing, with easy to understand rates. We know you’re in a tough spot, but we keep our costs low so as not to add insult to injury. Our experienced drivers will expertly handle your needs, like the skilled technicians they are, and we guarantee your satisfaction. Full Service Towing - What Does that Mean? ​A lot of things claim to be full or complete. Take your average bag of potato chips, open it up, and surprise – its half full at best. Well, when we say full-service business, we mean the whole bag is full of chips to the very top! If you're not sure, check us out on Facebook, Yelp, and Google+. We aim to be the best Tow Truck Company Columbia, SC has to offer, so if you are looking for the nearest towing company,, give us a call at (803) 667-3792 today. 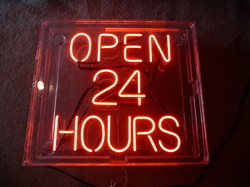 ​24/7 isn’t just a motto for us. 24/7 is just some piece of snappy marketing. We provide roadside assistance 24 hours a day. You certainly didn’t plan your day around that flat tire or fender bender. You didn’t pencil in a call to a wrecker service on your way home from the office. And you certainly didn’t decide to cap off your long flight home with an engine that wouldn’t turn over at the airport. Our express service prepares for situations like these because Towing Columbia is your go-to resource, day or night. We can meet you in Lexington, Irmo, Chapin, or Redbank in the middle of the night for all of your roadside assistance needs. City towing or rural towing, it doesn't matter. ​Our professional drivers are not just pretty faces behind the wheel, they are skilled technicians who can assist you in changing your flat tire. They know spare tires, jacks, lug nuts, and wrench, and will get you squared away in no time. Sometimes, folks prefer to change their own tires. We found a couple resources incredibly helpful to prepare anyone in the event that person becomes stranded. Click here to read a great article on changing your flat tire. Click here to watch a great how-to video on changing a flat tire. If, however, you are still looking for "towing near my location", head on over to our Services - Flat Tire page and you can get some in depth tips to avoid flat tires altogether! ​You know the scenario. It’s late. It’s dark. It’s cold. The parking lot is almost empty. But you make it to your car with no problems. You climb in, ready to crank up the heat. You shove the key in the ignition, but instead of the radio kicking in, all you hear is click, click, click, click. And your battery is dead, the beginning of what may seem like unlimited towing problems. Call Towing Columbia SC, and we’ll be there before you know it. We can jump-start your vehicle and get you headed home. For more information on jump starting your car, please check out our Jump-Start page. We’ve all seen it at then end of a football game – sometimes an athlete just runs out of gas. That’s where the team has to step in with a sub or a timeout to give that player a break. When you run out of gas, who has your back? Towing Columbia has your back. We are the go to Tow Service for Columbia, Lexington, and the rest of the Midlands. Just give us a call and we can be there with the fuel you need to get back in the game. ​One thing you can count on in life – if you are standing in front of your vehicle with the hood up, staring at the motor, someone is bound to ask you, “You having engine trouble?” It never fails, and really doesn’t help much either. What you need is a cheap tow service that will get you fixed up. Call us at Towing Columbia, and we can get your baby to the car ER right away. One of these days, old reliable just won’t be able to keep plugging along. We’re not talking about your cat Muffin; we’re talking about the baby you keep in your driveway. When she finally gives up the ghost, then what? First things first, she’s got to go to make room for the Corvette, ahem, we mean sensible, family-friendly, affordable minivan. Either way, our physics junkies at Towing Columbia know two cars cannot occupy the same driveway space at the same time. We have the equipment to take care of that vehicle disposal, and we know of several good charities we can donate the vehicle to, if you so choose. ​Last, but certainly not least, we pick up the pieces…literally. Accidents happen, and they can be incredibly painful, serious, daunting, and frightening. 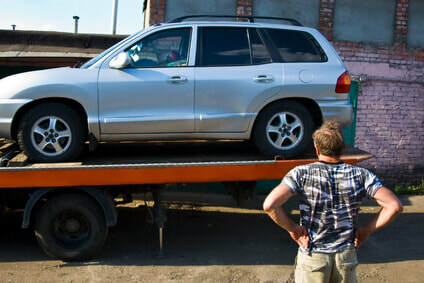 Our goal is to minimize as much of the logistics in getting your vehicle squared away as possible, so you can focus on making sure you and everyone else are ok. Our staff at Towing Columbia are experts at cleaning up without interfering. We know you have a lot on your mind, so call us and let us handle the clean up. 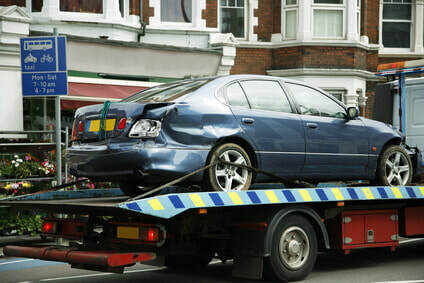 We tow anything you need towed. It's just that simple. Do you have a fifth wheel? We can tow it. How about a motorcycle? Yup, we tow that too. Heavy equipment towing available? Yes sir! What if you don't have a hitch? Doesn't matter, we'll still tow it. How about my U-Haul, we WAY overfilled it and now the thing is stuck? Gotcha covered, we tow rental trucks for breakfast. We'll even tow your time machine if you happen to get stuck in the wrong decade! We are a local business, not some national, AAA-esque company that will get to you when we get to you. We also accept all major insurance companies like Allstate, Nationwide, State Farm, and Geico. Just give us your insurance info and we will invoice them directly, with no up-front fee. Why are you still reading this? You need a TOW! Your car or truck is not gonna tow itself. You need our towing services! Call (803) 667-3792 right now! Plus, mention THIS Website and we'll throw in something special for ya!